As some of you may know, a couple months ago, I joined the Savvy Sassy Moms team as a Product Scout. 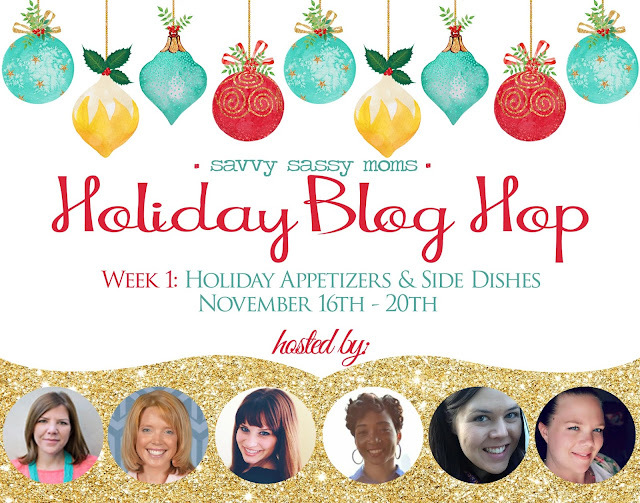 So far I've gotten to meet some amazing ladies, try out some awesome products, and today, co-host Week 1 of our holiday blog hop! This is the first week in a five week series of fun holiday themes and I'm really excited to share a delicious recipe with you today. This appetizer is seriously so easy and perfect for Thanksgiving or Christmas... or really anytime you're hosting guests! My mother in law first introduced me to this and I quickly fell in love. This combination is my personal favorite but you could always switch out the cranberries for cherries or raisins and the macadamia nuts for pecan or walnuts! There are no exact measurements in this recipe which I feel like makes it easier. You are totally free to customize how much you like! 2. Unwrap the brie cheese and put it on a piece of tin foil. 3. 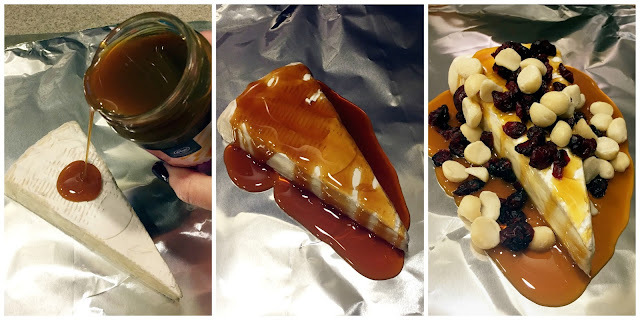 Pour desired amount of caramel over the top of the brie cheese. 4. Put desired amount of craisins and macadamia nuts on top. 5. Close the tin foil so the cheese is completely covered. 6. Put on a baking sheet and place in the oven for 15-25 minutes or until cheese reaches desired level of gooey-ness. 7. Pair with your favorite crackers and enjoy! In this case, I chose include the brie as part of a cheese platter. The brie is definitely the star of the cheese platter, but this way it gives guests options in case brie is not their favorite. Add some salami, different types of bread/crackers, and some fruit and you have the perfect appetizer to hold your guests over until dinner time! So, hop around and check out my other blog hop co-hosts appetizers and side dishes. With Thanksgiving being next week and Christmas not too far away, you can never have too many ideas of what to serve. Have a recipe you'd love to share? Link up with us all week so we can check it out! - Link up your favorite holiday appetizer or side dish by putting your URL and name of your blog post into the InLinkz widget below. - Then visit 3-5 other blogs in the Holiday Blog Hop and leave a comment on their posts. 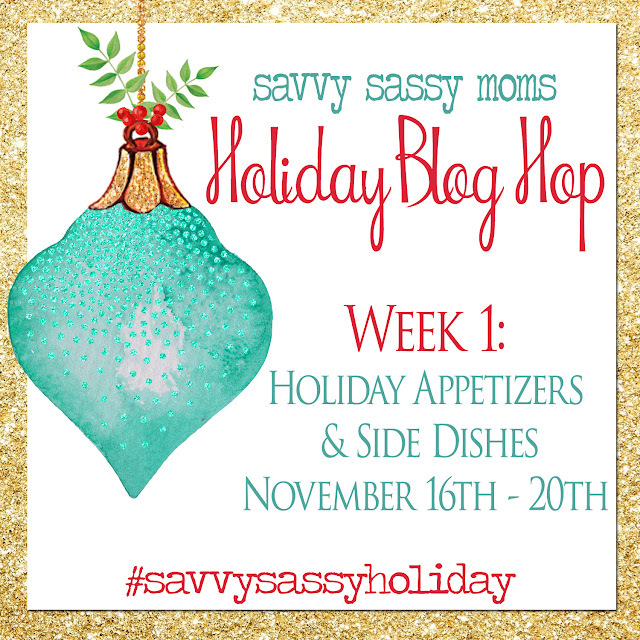 - Share this Holiday Blog Hop with your friends and readers on social media using the #SavvySassyHoliday hashtag. - And then... week 2 next week is sweet treats! Don't forget to check out Savvy Sassy Moms next Sunday and check out all the drool worthy sweet treats that are posted! With my sweet tooth, you know I'll be checking it out! This looks amazing and I'm totally trying this!!! I'm new to the brie world, but I'm warming up to it! Looks yummy! 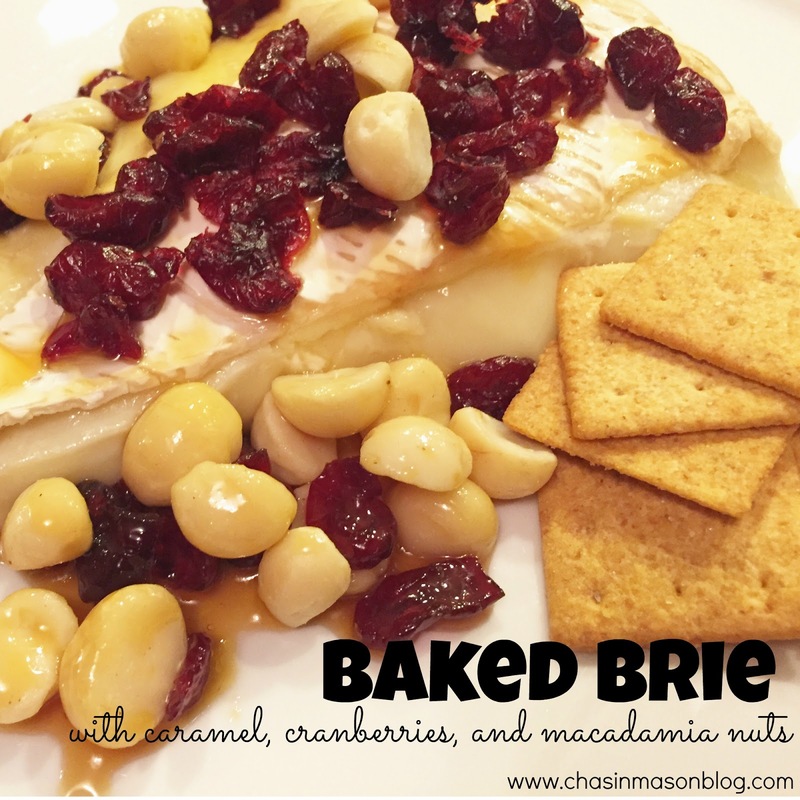 I love love love baked brie! I must try this! Hello. I want to lick my screen!! Simple party food is ALWAYS good! Thanks for sharing! Mmmm...this looks amazing! Your whole spread has me drooling right now! SO HUNGRY! Oh you and I and all the food, UGH! This looks SO good friend. My goodness, I love brie and this looks amazing!! Good call, great recipe.